The cassowary, a giant bird with long claws, killed the owner after he fell in the backyard of his house in Gainesville (state of Florida). The tragic incident occurred on Friday morning, April 12. As reported by the County Sheriff’s Department Alachua, 911 was called by a neighbor of the victim who saw what was happening in the back yard of 75-year-old Marvin Hajos. Arriving paramedics took Chiosa to a nearby hospital, where he died shortly thereafter. According to Lieutenant Joshua Kruse Sheriff’s Department, cassowary remains in the household of Hajoca as the investigation continues. The cassowary is considered the world’s most dangerous bird. As told the channel WCJB Deputy fire chief County Alachua County Jeff Taylor, the victim was a breeder of these rare birds inhabiting Australia and New Guinea. 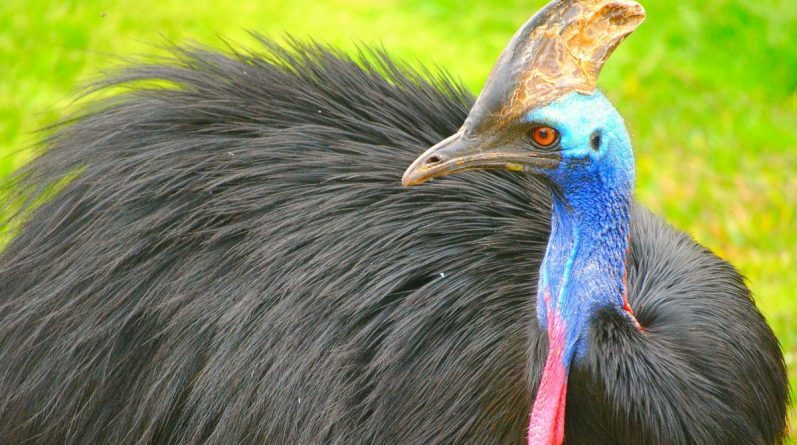 According to preliminary information, the man fell in the yard, and cassowary for some reason attacked his owner. The Florida Commission for the protection of fish and wildlife sets the cassowaries class II, which means that they are a danger to people and to their owners special requirements. According to representatives of the Commission, the owners must have considerable experience with animals. Class II is the same category as alligators, badgers and leopards. As told in the zoo San Diego, the cassowary is a large flightless bird, the closest relative of which is the EMU. The cassowary can accelerate to a speed of 31 km/h and jump almost 2 metres in height, a good swimmer. These birds grow to a height of 1.5 meters and weigh over 70 kg. «The cassowary is rightfully considered the most dangerous bird in the world, — noted in a zoo. They have the feet have a claw-like dagger, a length of 4 inches (10 cm)! Cassowary can be a blow to «rip» any predator or potential enemy».